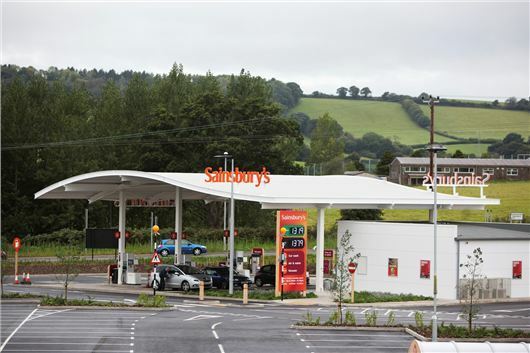 Sainsbury’s has announced that it is to cut the cost of petrol and diesel by as much as three pence per litre across all 286 of its forecourts. The price reduction will bring the cost of a litre of fuel down to its lowest level at Sainsbury’s in two and a half years. The reductions will start on Wednesday 30 October. Chris Biggs, who is in charge of buying the fuel distributed by Sainsbury’s, said: "We are always looking at ways to help our customers save money, especially in the run up to Christmas. We know that fuel is a big part of the weekly budget for many households so we hope this cut will be welcomed by drivers across Britain." These are the latest fuel price cuts in a series of reductions by major supermarkets including Asda and Tesco. The lowering of prices is the result of a fall in the wholesale cost of fuel, with reductions being passed on to customers.